Nokia N97 – the "social phone"
Well, here we are. Continuing the fight for supremacy in the mobile phone market, Nokia just released the new N97 model at the CCIB in Barcelona today. Just looking at it it seems like a nice, modern phone. It also has most things you could want, or as Nokia themselves put it, it’s a product that “carves a new space in the otherwise blurred realm between smartphone and laptop”. 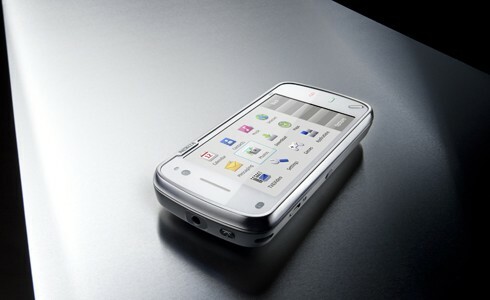 No, but seriously, this looks like a really up-for-it phone. If phone is the correct word to use anymore, that is. It’s also clear that Nokia are tapping into the whole social media market – Facebooking, Beboing, Twittering, what have you, it’s all done better with this phone than with any previous Nokia phone. The step to a full fledged laptop is still quite substantial, guess you’d need an inflatable screen and keyboard to bridge that gap. Other than that, I’d be happy to get my hands on one. The pricetag might just be a little bit prohibitive, in Finland it’s estimated at 550€ pre-tax. With the current economic climate, the timing could perhaps have been a bit better. On the other hand, this product probably just goes to show how on-the-edge Nokia is. The real money is in the cheap phone market. But, well, if you happen to have one spare, do send it this way 🙂 I promise to evaluate it thoroughly!